← Are there bats in Perth?? If you happen to live in Australia and wish to build your own bat box, then read on…. A little tip. DO NOT use a power saw to cut slots in the wood for the bats to cling to. 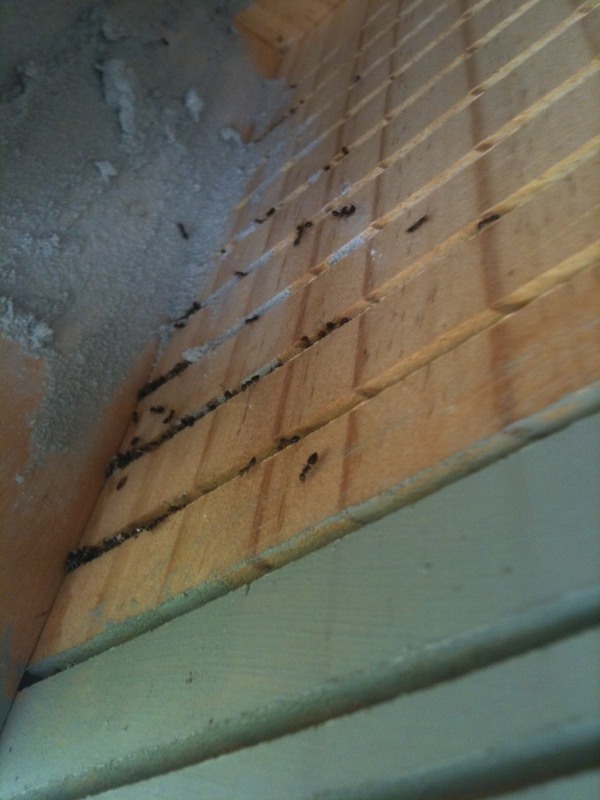 Why???Ants!!!!! Yes, the little devils will start using these as nesting areas. They will soon take over the bat box. Yes, I know all the information found on the internet tells you to use this technique. Well, I’m sorry it might work where there are no ants. But, it will not work in Australia. What’s the solution then????? Easy, go to Bunnings and buy some galvanised metal gutter mesh. Cut it with tin snips then staple it to the timber. The square holes are a perfect size for the bats to climb on to. While I’m here, check there are absolutely no small holes or gaps in your box. The ants will use these as a home. Talk about “ants in your pants”. The bats don’t like them. Ants nest in saw cuts.